Oh my goodness, friends! Guess what happened to me… ??? My guild’s treasure hunt was last Monday and I got a lot of fabulous stuff! 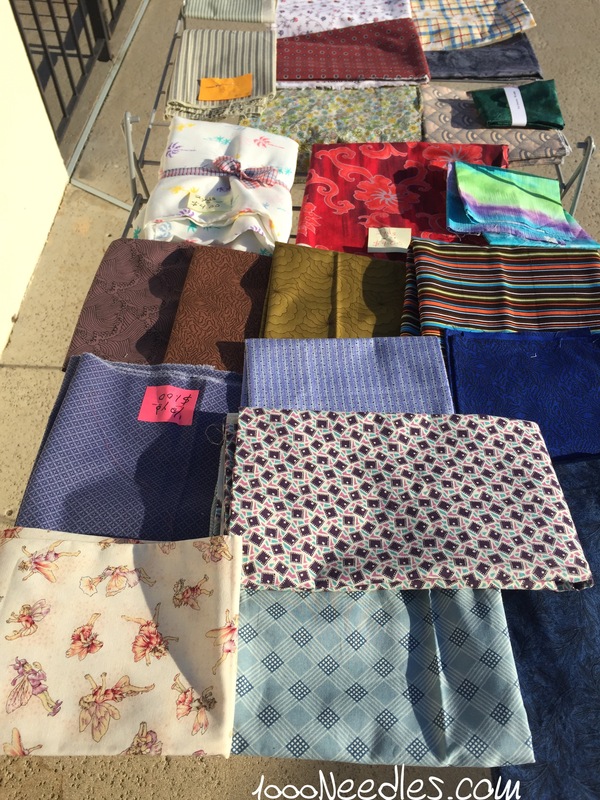 Here’s my haul ..
all for $12… I think there’s 6.5 yards there! 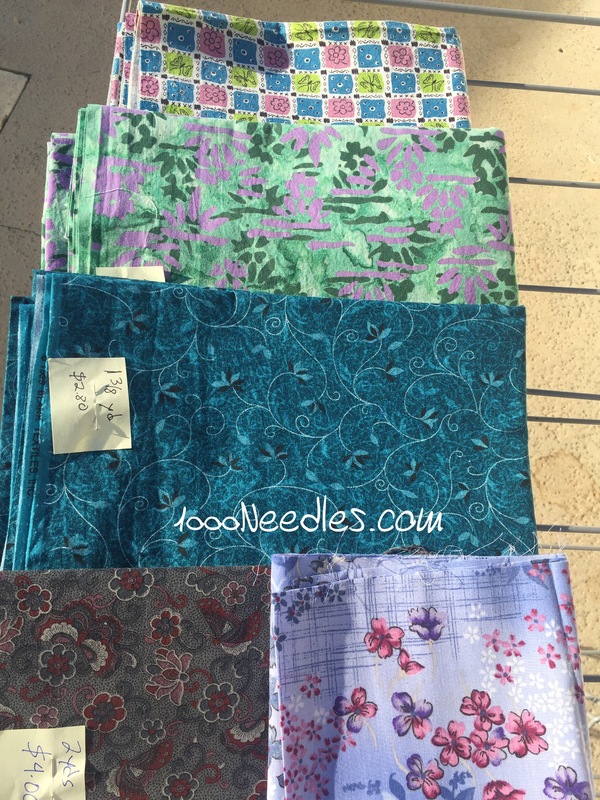 Then at the end of the night, to empty all the fabric, the guild sold fabric at $1/bag… The bag was the size of a regular grocery plastic bag and I fit all of this … for $1! I don’t know how much this is in yardage but my stash report is not looking too good on Sunday! 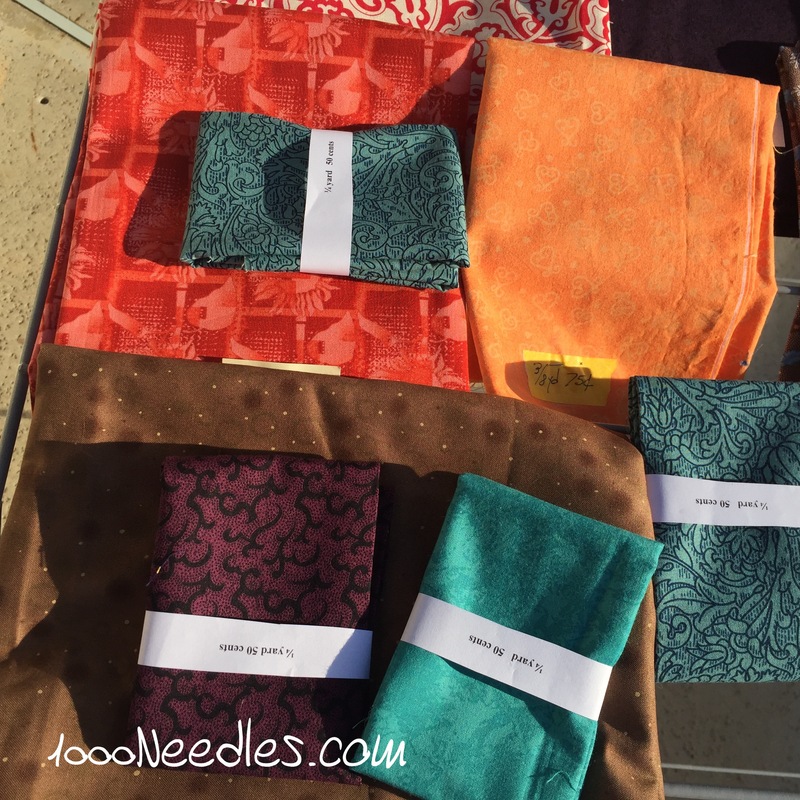 And … I won this in the auction for $5! 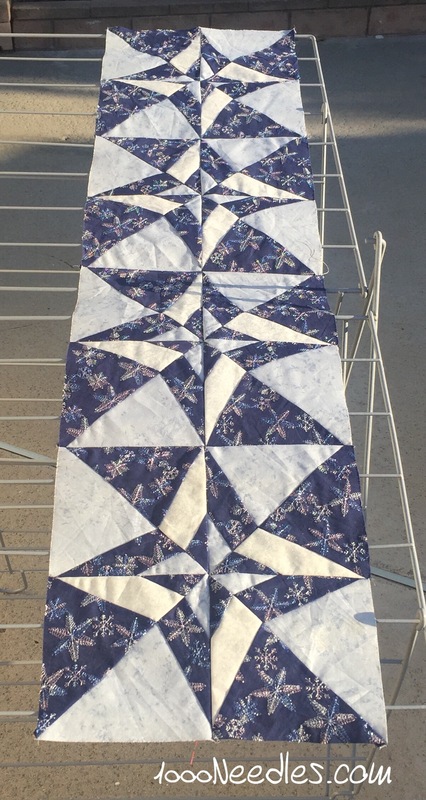 I just have to quilt it and it will be a nice table runner. great haul. I could use the orange. Those guild sales are killer. Great haul though! You did sore some treasures! I like your table runner; it looks like the blocks were inspired by a tile mosaic floor. 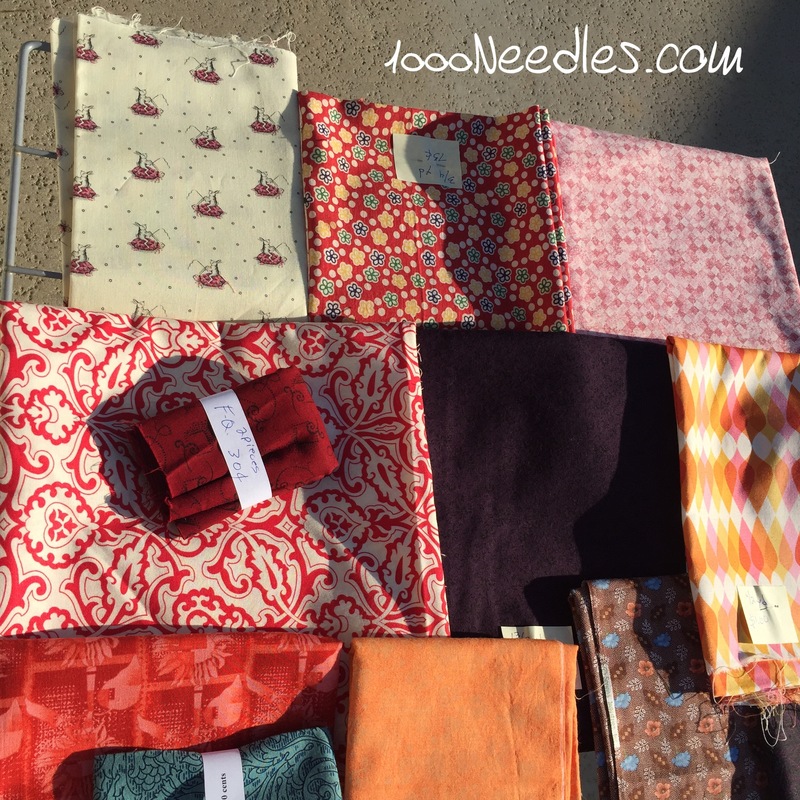 Wow, what a treasure trove you have, it’s always so fun to find bargains on fabric!! Just like christmas morning as a child! 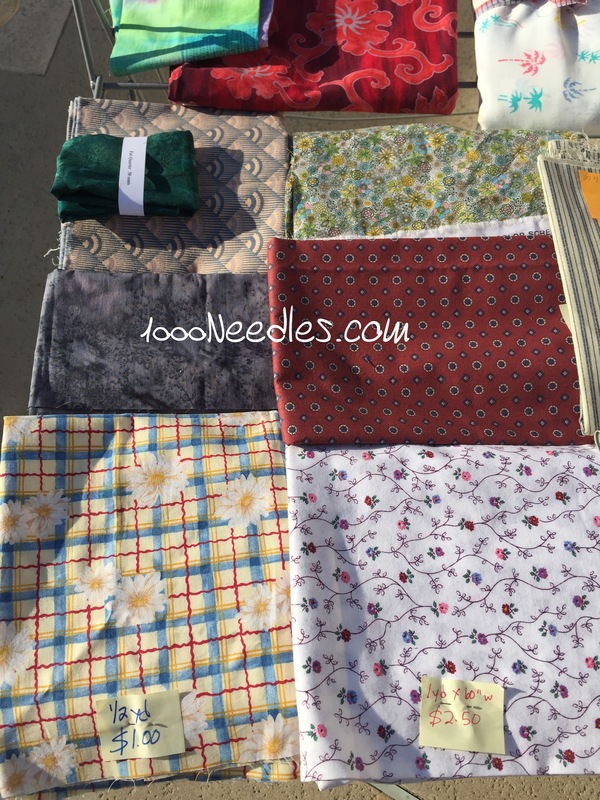 I see many, many quilts with all that fabric!